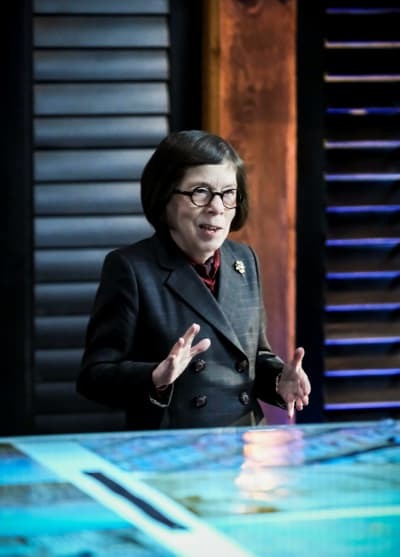 What truly mattered is that Hetty was back on NCIS: Los Angeles Season 10 Episode 20. I've missed Hetty the All-Knowing. Nothing ever got by her. 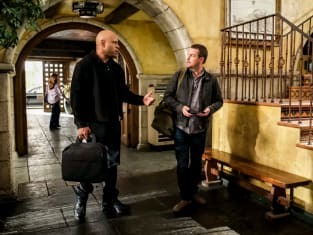 So what if she had only been seen this season officiating Kensi and Deeks' wedding on NCIS: Los Angeles Season 10 Episode 17? She was obviously as plugged into what's going on around the OSP office as she ever was. She knew more than Kilbride or Ochoa or especially Rogers ever will. The first thing she asked Nell was about her ailing mother, which enabled Nell to sound off about all the worries that she'd been carrying around since she found out about her mother's heart condition. But Hetty knew that Nell needed more help than just being able to decompress. That's why she had already booked a flight for the two of them to San Francisco so that she could try to persuade Nell's mother to get the surgery she needs. Hetty also tried to bring Eric back to a more even keel. Under the substitute leaders, Eric has gotten more and more high-strung and anxious, if that's possible. Hetty has always boosted him up and kept him on task. If she's back, maybe he'll be, well, less annoying. Of course, Hetty already knew about Eric's job offer. The question will be whether she has a counter-proposal (making him the field agent he's always wanted to be) or will encourage him to go. I fear that Hetty may now be disappearing again for a time, as Rogers shows up in the credits for the next two episodes. And there's just no good reason to have him there other than to be an inadequate fill-in for Hetty. So let's be glad for whatever time Linda Hunt is available. Remember, every scene with Hetty is one less for Rogers. Addition by subtraction. There's another mystery to be solved as well: Why is Fatima still hanging around Los Angeles? It could be as simple as her being an apprentice, with her learning from two of the best. It also might be that she's just helping out as personal developments take Eric or Nell to San Francisco. It's certain that she isn't ready for fieldwork. 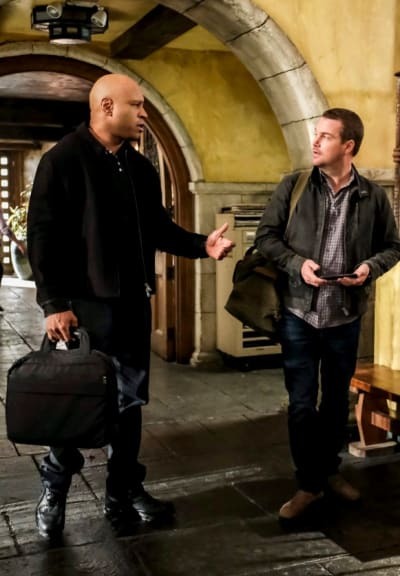 Two gangsters got the drop on her on NCIS: Los Angeles Season 10 Episode 19. This episode, you could see the fear in her eyes as the taco truck was targeted with bullets. Still, she was perfect for goading and distracting the white nationalist with her unexpected phone call. Finally, it might be that Eric or Nell might be departing, either for an extended arc or forever. It's so late in the season that it would be hard to set up anything other than an exit. I'm beginning to rethink the possibility of NCIS: Los Angeles getting canceled. First, why bother setting up a new character if there's no future in sight? Second, wouldn't there be a string of blasts from the past if this were it? Granted, there have been quite a few recurring characters, but no more than any other season. Finally, if there were only four to six episodes left in the series, wouldn't there be a little bit of Hetty sitting around dispensing wisdom in each one? Still, up until the time when CBS renews, there is no certainty. But CBS has too much stock in the NCIS franchise to surprise any showrunners with a cancellation. Now, onto the case of the week itself. It was a simple concept: Sam's pissed and loaded for bear. After his fellow SEAL got shot, Sam was all business. 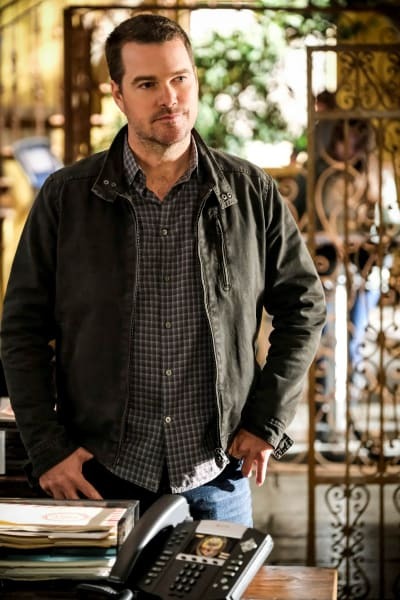 He didn't even have any patience for Callen's steams of consciousness, which these days are going even further afield than Deeks' are, which is saying something. 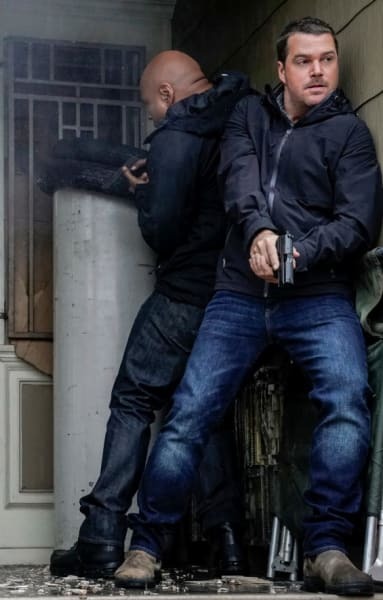 Callen spent the episode saving Sam from himself, such as when Sam's pounding on a suspect's door produced a hail of gunfire. Whatever happened to recon? Frankly, with Callen having to handle Sam, that left Kensi in charge of the investigation. And she did a great job of it, finding evidence that helped to move things along, such as the bullet casing and the burner phone. If only she hadn't had to beat on Deeks so much. He does try to be supportive in his wisecracking way. It was evident way too early that the driver Reed was in on the robbery. That the money was stolen essentially to fund a white-nationalist war chest came out of the blue. None of the white nationalists that were captured or killed seemed like truly bright bulbs, so obviously there's a broader conspiracy that will linger. Whether or not it will get wrapped this season or later remains hard to say. 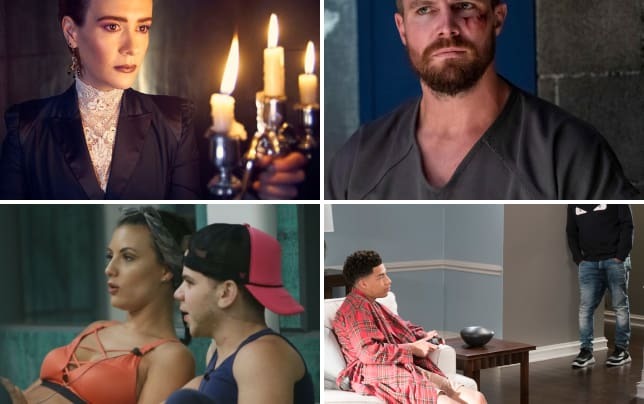 SPOILER: Another another hiatus (CBS is mining the Grammys for another special), it will finally be time to deal with Anna and her imprisonment over the next couple of episodes. 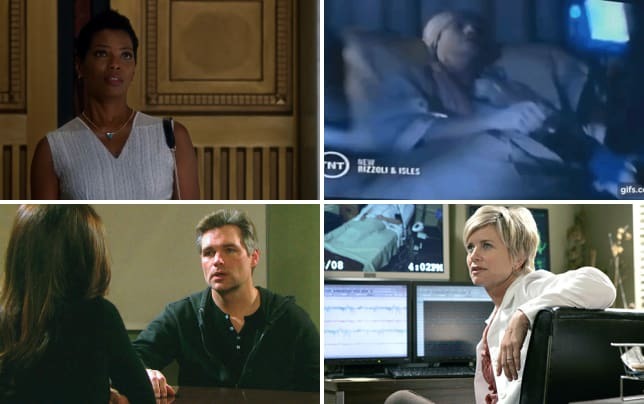 Since she's outlived her usefulness, I suspect she'll either disappear (that happens a lot to Callen) or be killed off. The other prominent thread left hanging is what happens to Mosley. But does anybody honestly care if that character fades away with no real resolution? I'm doubtful. 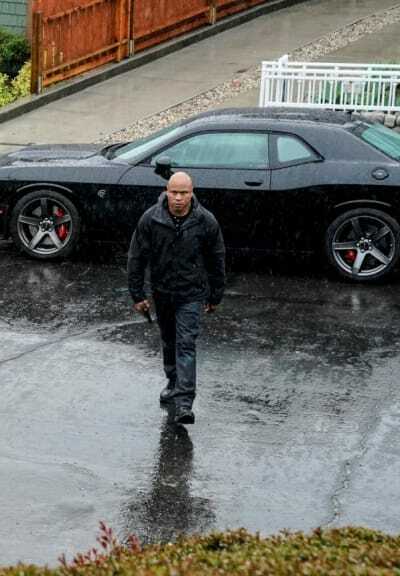 To fill in any gaps in your season, watch NCIS: Los Angeles online. Were you happy to see Hetty again? Is either Eric or Nell leaving? 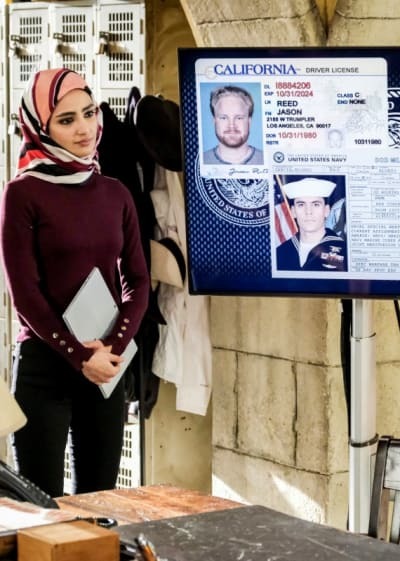 Did Sam make things worse with his approach to finding Alonzo's attackers?